Steve Rubel and Stowe Boyd share an interesting trait: they like to take pictures of things to use as their todo lists. Another friend of mine serreptitiously snaps pictures of anything his wife looks at for too long while they’re shopping to use as gift ideas the next time she needs something. The traditional tools for this are written lists. If that’s all you have, that’s certainly what you’ll use, and I’d venture to say that all three of these guys have made out a written list too. However, with the right tools, there are other, more personally comfortable or impactful ways of communicating and interacting. 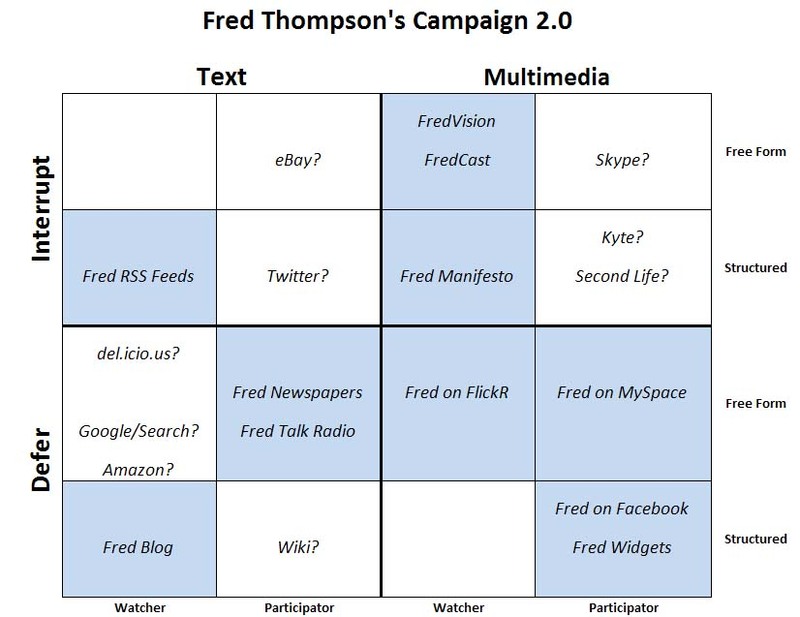 The heart of my Web 2.0 Personality Style concept is that there are a set of dimensions that can be used to characterize different web contrivances along these lines. My premise is that if you really need to communicate with the largest possible audience, you need to make sure you cover all the bases. 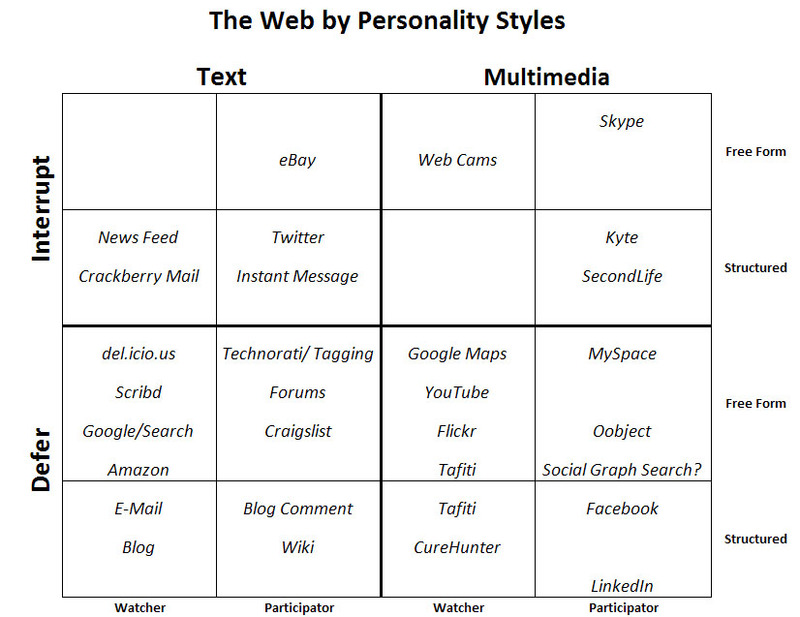 Search this blog (search is top right) for “web 2.0 personality” to read my many posts on the subject. They explain a lot of things! This entry was posted on October 4, 2007 at 11:56 pm	and is filed under user interface, Web 2.0. You can follow any responses to this entry through the RSS 2.0 feed. You can leave a response, or trackback from your own site.